In Catalunya the autumn celebrations focus on Castanyada rather than Hallowe’en. Instead of dressing up as ghosts and gouls, small children are more likely to appear as headscarved roast chestnut vendors – castanyers and castanyeres. 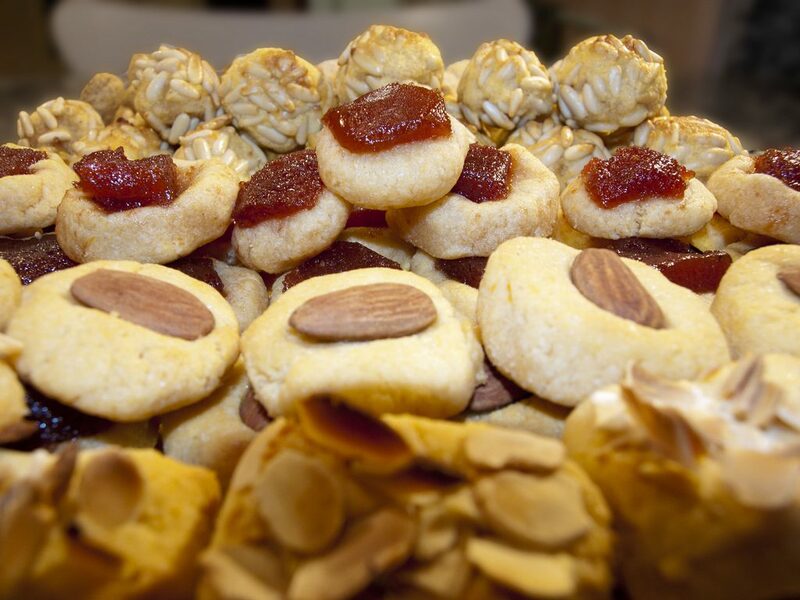 The grocery shops in Catalunya are filled with sweet potatoes, chestnuts and little marzipan cakes. Remember that Wednesday 1 November is the All Saints public holiday (Tots Sants in Catalan). The evening before – 31 October – is an opportunity for Castanyada meals in restaurants – look out for special menus. The history of the Castanyada traditions seems to be caught up with the festivities to remember the dead which take place all over the world on All Hallows Eve, more commonly known as Hallowe’en. Some say that bell ringers worked all night commemorating the dead and were provided with chestnuts for sustenance. Other stories focus on the content of funeral meals. Sweet potatoes. There are a lot of them around right now and they are incorporated into the traditional meals. Sweet wine to accompany all the food. 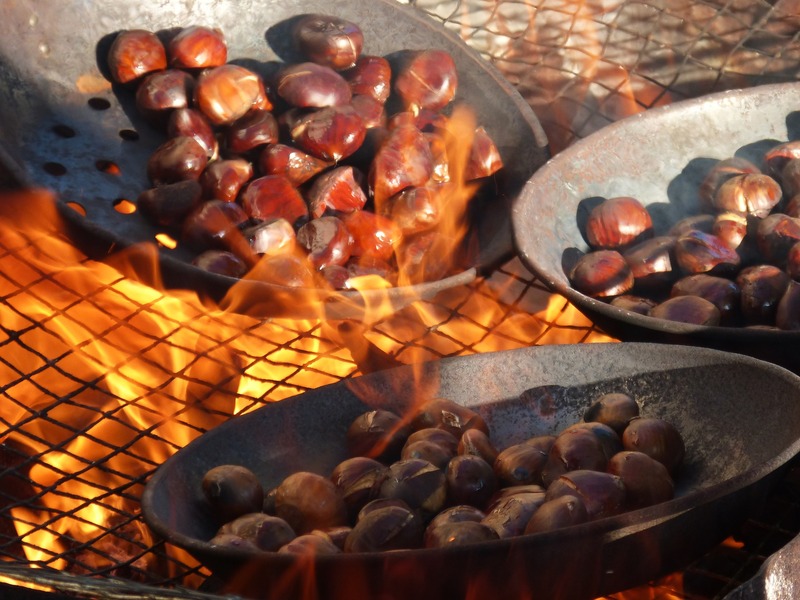 Castanyes (chestnuts) are roasted and traditionally sold by a little old lady, known as the Castanyera. There’s even a song about her which you may come across groups of children singing in village squares or school performances.